I was provided with Incredibles 2 in exchange for this post about the Incredibles 2 Bonus Features. Any opinions are 100% my own. Incredibles 2 is now available on Blu-ray, DVD, and digital for those family movie nights! If you haven’t seen the movie yet, Helen is called on to lead a campaign to bring Supers back, while Bob navigates the day-to-day heroics of “normal” life at home with Violet, Dash, and baby Jack-Jack (whose superpowers are about to be discovered). My whole family LOVED Incredibles 2, especially my 17-year-old daughter who kept saying it was “REALLY GOOD” the whole night after she watched it. 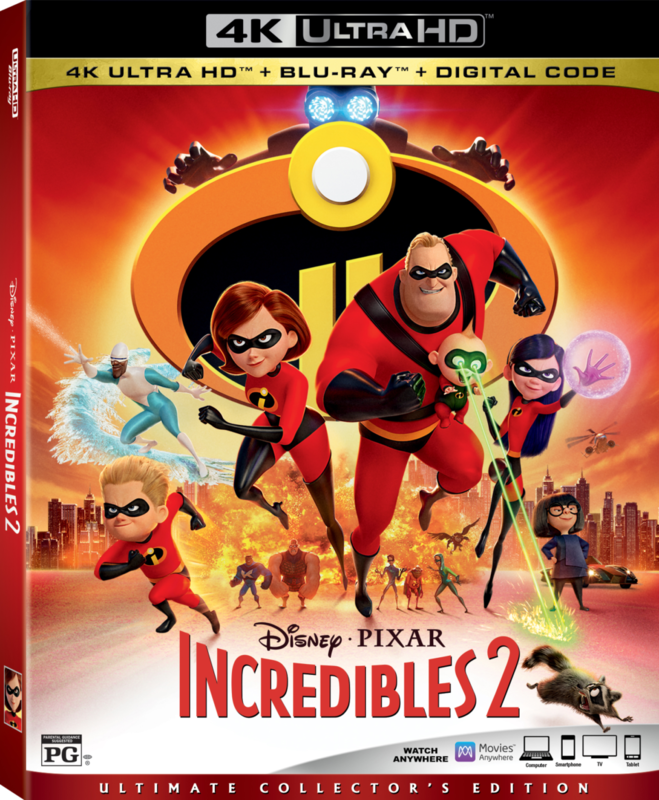 There are some sweet Incredibles 2 Bonus Features on the Blu-ray and DVD, as well as digital exclusives. Check them out below to help you make your decision on which one you are bringing home! Plus grab some Incredibles 2 printable foldables at the end of this post.